Brand Names: Celexa, Cipramil. 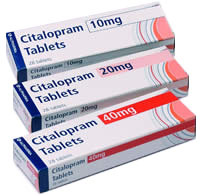 Citalopram has many non-life threatening common side effects. Some of these side effects include, but are not limited to, drowsiness, nausea, weight changes, dry mouth, sweating, trembling and frequent urination. Women may also experience irregular menstrual cycles. Also, when it comes to Citalopram use in children and young adults, it has been found to cause suicidal idealizations and is therefore not recommended to anyone under 18 years of age. Women may experience menstrual irregularity with Citalopram. This means that their monthly cycle may be altered while taking this medication. It is however suggested that women should contact their gynaecologist to rule out any other illnesses if their menstrual cycle remains irregular or if they experience other discomforts. The main side effect for children, teenagers and young adults (up to 24 years old) is suicidal thoughts. Even though they have only been experienced in a small number of known cases, there is not sufficient research on how great the risk is, and experts do not know how serious it is. That being said, children under 18 should not be taking Citalopram. However, in some cases the doctor may feel that it is the best way to treat the child. Citalopram has also been prescribed to autistic children, however a recent study shows that it is not only ineffective, but also causes many side effects specific to autistic children such as increased energy level, impulsiveness, decreased concentration, hyperactivity and increased in repetitive movements. As mentioned before one of the common side effects of Citalopram is changes in weight. Unlike some medications, Citalopram can have the effect of weight gain or weight loss, both occurring in more than 1% of clinical trials; however it is important to note that there was no exact report on the percentage of weight loss or weight gain. Some people have reported gaining as much as 30lbs and losing it quickly once they stopped taking the medication; the opposite has also been reported. Although there may be many side effects associated to Citalopram, it has also been found to effectively and safely treat depression and other disorders for which it is prescribed. Most side effects are non-life threatening, and as long as the patient is regularly monitored by their doctor or psychiatrist these should not be a problem. That being said, Citalopram has not been proven safe in children less than 18 years of age.